There is nothing better after a long winter than to see the first Species Crocus poking their little heads through the soil. How lucky we are that Dutch Large Flowering Crocus follow about two weeks later for a slightly larger, encore performance! Both are terrific naturalizers. 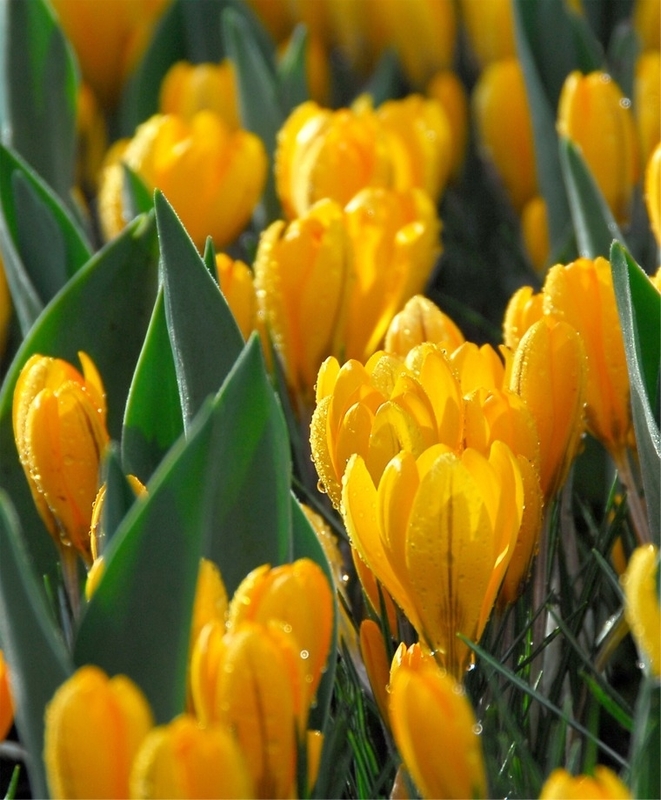 Species Crocus may be planted en masse in lawns (hold off mowing until the foliage dies back naturally). Both Species and Dutch Large Flowering Crocus may be incorporated into rock gardens, garden beds and pathside borders. 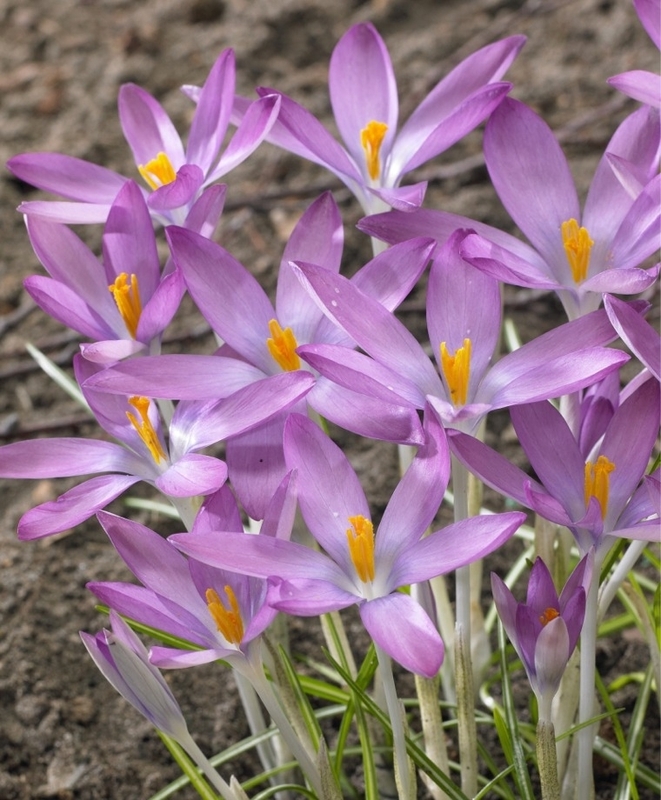 Crocus bulbs are really corms, with either a smooth (annulate) tunic or a fibrous (reticulate or netted) tunic.